In all the conferences, speaking engagements I have attended - this Aboriginal Torres Strait Islander Suicide Prevention Conference (#ATSISPEP) has been by far the most spiritually moving and uplifting conference I have ever been to - laughs, tears and most of all a beautiful safe place for people to share experience. 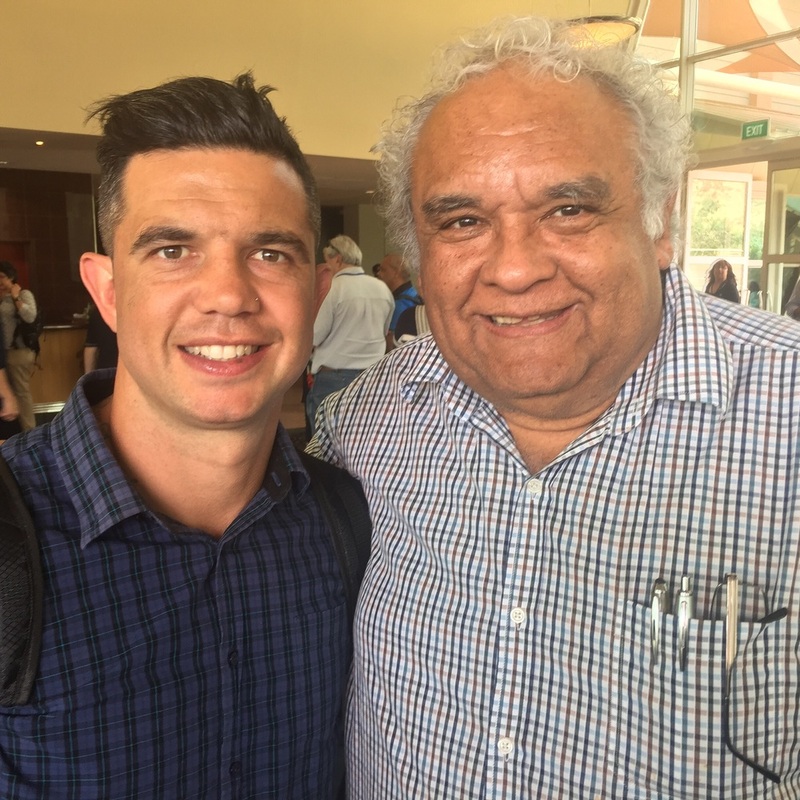 The conference was well put together by a a range of people from the suicide prevention space & overseen by the brilliant Aunty Pat Dudgeon & Uncle Tom Calma. People from across the country, majority Aboriginal & Torres Strait Islander mob to hear and learn about problems in our communities with suicide. 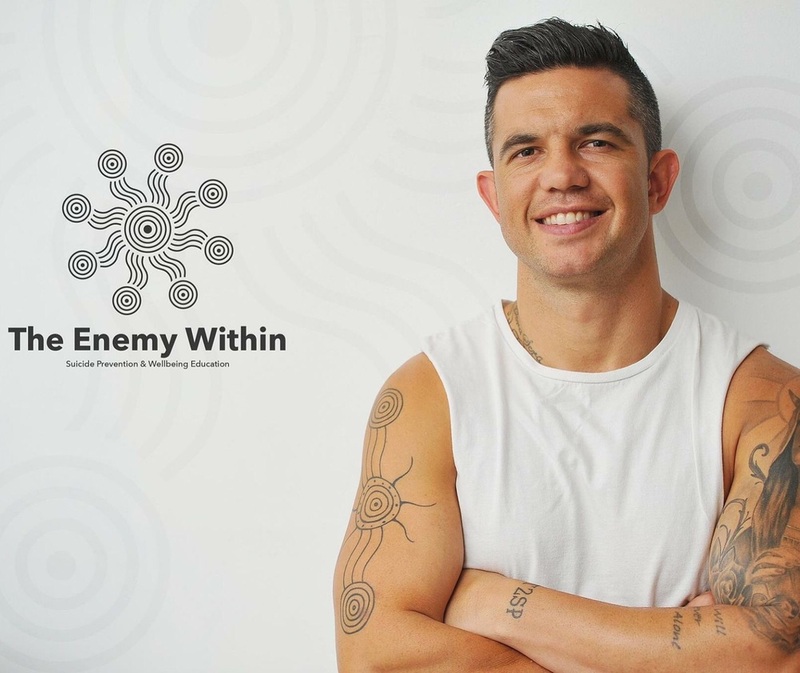 Suicide among our 1st Nations communities and although making up less than 5% of Australia's population, our suicide rates are among the highest in the world - with men 6x more likely to die by suicide than Non Indigenous men & women 7x more likely. There was a range of topics covered from prevention programs to spiritual enlightenment & statistics. The one session I gained valuable insight into was the LGBTQI session. I thank brother Dameyon Bonson for sharing the perspective our brothers & sisters from the LGBTQI community go through. I also had great discussions with a couple of sister girls who educated me on particular discrimination they are faced with, in top just being of Aboriginal & Torres Strait Islander background. Throughout the conference there was a beautiful buzz if conversation throughout regarding the beautiful Nkunkari healers. I was fortunate enough to sit & yarn with one of the uncles and weaved his healing magic on me - a beautiful experience and something I am very thankful for. The end of day one I was part of a panel to speak to the entire conference. I got to share my experience with suicide and my mental illness journey with a room of many people from all across the country, many different tribal groups - ball all with the common thread of helping keep our mob alive. I was humbled when many of the conference delegates approached me asking for insight on how I've lived for so long with the resilience to fight this evil illness daily. Many with similar stories of losing multiple family members, many of them younger and in their late teens & through to older uncles and aunties - all with the commonality of not having strength to see through the tough times.. I know that feeling as I re live it in my head every single day. I may not have the individual answers but I sure as hell extend my hand to help our people find that strength needed to get through the tough times. The conference showed me many things, but the one most powerful thing we all shared was the love and understanding that heading back into our community to help our people find culture!! I believe culture is the most powerful tool we can use to empower our people once again. In traditional times, there were minimal problems as their was a system set in place to enable people to work through tough times. Now we are stuck in a world built on materialistic values and not traditional pathways our youth can learn from - I urge all to delve deeper into our traditional culture to re spark our young people onto a path of wisdom and humility. The conference key notes were delivered by two powerful and inspirational people - Aunty Rosalie Kunuth Monk & my cousin Stan Grant. Both inspiring insights and stories both with again a common theme of empowerment of our people. Highlight for me was dancing with the Nkunkari healing group, the man dance, with stories of being proud and being a leader in our community on our return home - I will take these lessons, build more on being the best leader I possibly can be in every community I step foot in. Do me a favour, in yr community seek out an elder or knowledgeable community member and delve into it - doesn't know matter what colour race of creed you may be, once to experience it you will truly see. With many beautiful connections made and friendships developed - I hope I come across many in the future.